I've heard from several of you in southern and central Iowa that you're planting oats, wheat and barley this week. I know you northerners are getting antsy, but don't fret, it'll soon be time for you to plant too. I've tried to make our resources on timely planting and agronomy topics easy to find by listing them below. Don't hesitate to reach out by phone or email if you have further questions. If you snap any pictures while you're out working with small grains this spring and summer - send them my way! The PFI small grains and cover crop directories include not only sources for supplies and services (seed and custom planting) but also market opportunities for small grains. Right now the directories are focused on Iowa, but if I get enough interest I will consider compiling broader directories. How do you plant oats or barley on a field where you established winter rye last fall as a cover crop? In general, it's best to avoid this situation by leaving fields bare that will be planted to spring small grains. While this can seem like a step backwards to conservation-minded farmers who like to keep things green year-round, it is the best, most reliable way to establish a spring small grain early and guarantee that it won't be contaminated with a winter grain at harvest time. Can you shift your fields around? If you have a corn or soybean field that didn't get a cover crop put on it last year that you could swap, you could use the winter rye as a cover crop before soybeans and put the small grain on that open field without a cover crop. Consider taking the winter grain to harvest instead of planting a spring one. Whether or not this will work for you depends on your end market for the grain and whether you can easily substitute one small grain for another. It also depends on the quality of the stand of winter grain. If you're not sure whether you have a "keeper stand" of winter grains check out this replant decisions blog I wrote to help you estimate your yield potential. If you have to terminate, do it as soon as possible, preferably with tillage (this year). Because we've had such a sluggish, cold spring many winter small grains aren't actively growing yet -- which means they can't be terminated with herbicide. If you get out to till now, the plant will still be small and dormant, thus easy to till up. This will allow you to get the spring small grain in the field sooner and avoid any herbicide damage. Oats are notoriously fickle when it comes to herbicides. If you have to rely on chemical termination, you must read the label carefully for application restrictions on small grains. Getting complete termination is crucial (depending on your market) to ensure that you have a clean grain harvest of just one type of small grain and not a mixture of spring and winter grains. If you're in town stop on by and check out the new space! 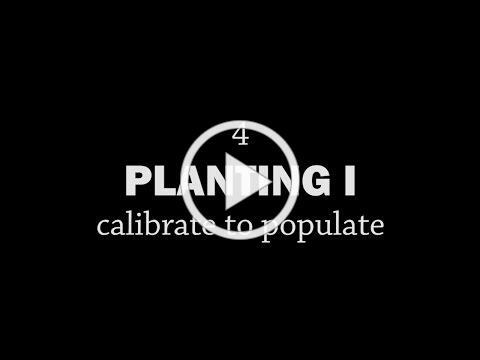 The drill calibration and plant population episode of our rotationally raised video series. Small grains are big babies when it comes to coping with uneven planting depths. Make sure you're set up for success before you even take the drill out into the field by doing appropriate field prep. 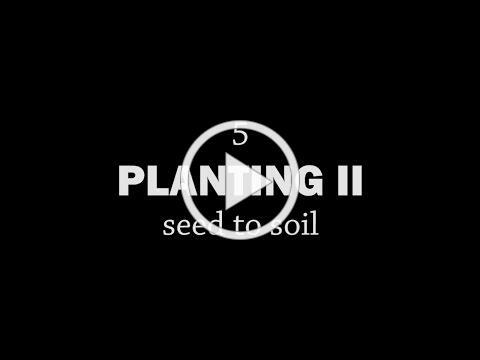 Episode 5 of our rotationally raised video series focuses on seed bed preparation and achieving target population and stand for small grains. The optimal time to apply fertilizer to small grains to avoid lodging is before planting or shortly after. 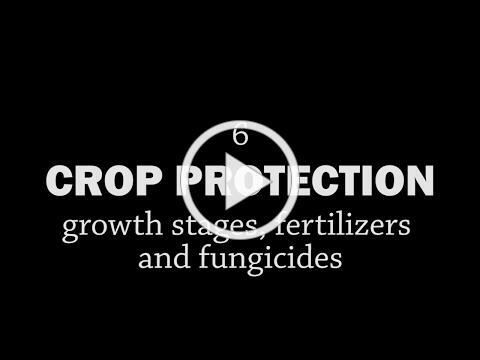 Make sure you're ready to apply fertilizer at the right time.